Motorola launched Moto X Play with alluring features. The company has again surprised the customers by launching the smartphone with admirable features with competitive price. 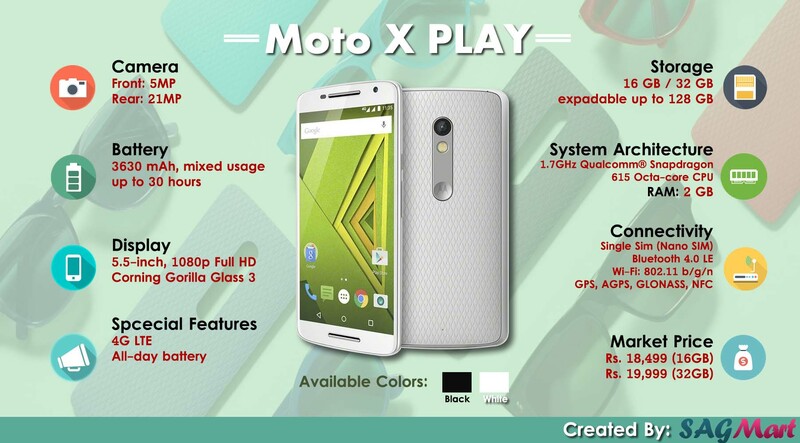 Checkout the specifications, special features, price of Moto X Play in form of Infographic.